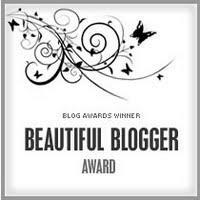 Bhavesh of Chaukhat.com BLOG has given me this Beautiful Blogger Award. Thank you Bhavesh! So the awardees, please to add the award to your blog's sidebar. Congratulations Bhavesh!! You deserve this one and all of the awards you're getting! Thanks for awarding me :) I appreciate that so much! Congratulations! I can't imagine a more deserving blog for this award!!! Bhavesh, once again the beautiful goods come to your hand... evidence of a beautiful life lived beautifully! congrats ! congrats ! congrats !